Code Monster from Crunchzilla is now open source, free to use and modify. 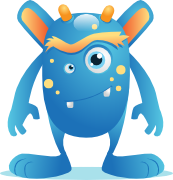 Code Monster is a tutorial that has been used by hundreds of thousands of children around the world to learn a little about programming. It's a series of short lessons where each lesson involves reading and modifying a small amount of code. Changes to the code show up instantly, students learning by example and by doing. Translations. Taking the current content and translating into languages other than English for use in more classrooms around the world. New lessons and new content. By adding new messages and example code to the JSON lessons file, new tutorials could be created for teaching programming games, working through puzzles or math problems, or perhaps a more traditional computer science curriculum aligned with a particular lesson plan. Entirely new tutorials. Some ideas and techniques used by Code Monster, such as how Code Monster provides informative error messages, how it does live code, or how it avoids infinite loops in students' code, might be useful for others creating web-based coding environments. Code Monster from Crunchzilla has been used in computer labs and classrooms around the world. One of the most common requests is translations into languages other than English. Now that the code is open source, I hope that makes it easier for translated and modified versions to get in front of even more children. If you use the code for anything that helps children learn computer programming, I'd love to hear about it (please post a comment here or e-mail me at greg@crunchzilla.com).